← Bachelorette Party Flamingles at the Distillery! This is a story nearly a year in the making. It all began with a call from producer James Parvin at NBC. 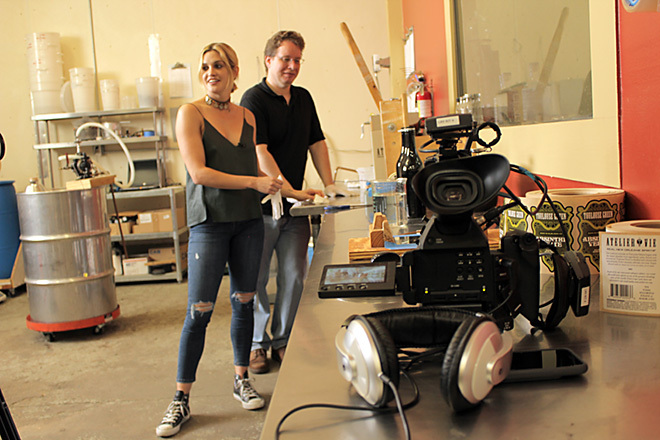 A New Orleans segment was in the planning stages and given the long-standing connection between New Orleans and absinthe, a visit to Atelier Vie was the obvious choice to learn about and experience the many aspects of absinthe production and enjoyment. Join in as we go behind the scenes for the making of the segment. The day began with a trip to the Sprout Nola farm in Mid City. 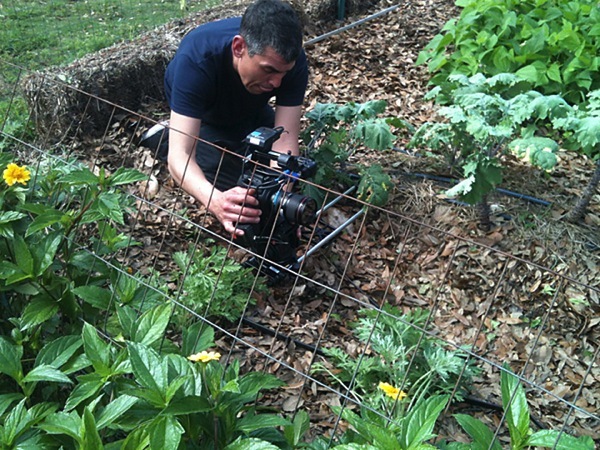 Producer James Parvin gets down and dirty with a crop of wormwood plants. These are destined for use in Toulouse Green, Absinthe Verte. 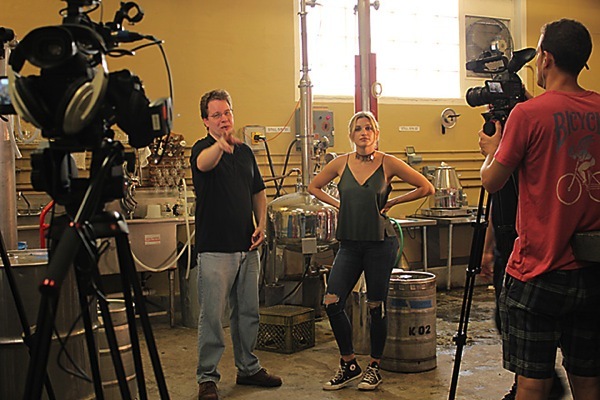 At the distillery, Jedd Haas talks absinthe with 1st Look host Ashley Roberts. Some people think distilling is exciting. Maybe it is. But a good distillation run should be about as exciting as watching paint dry. Waiting for the still to heat up. It won’t be long before the absinthe is coming over! Now it’s time to earball the coloring infusion for Toulouse Green. In every kind of activity, words are coined to capture the essence of what’s going on. Is it done by eye or do you play it by ear? Why not both! On to the bottling line, where the white glove treatment is needd to fill, cap, seal, and label the finished absinthe. After all that work, it’s time to learn the finer points of drinking absinthe. Ashley Roberts joins Jedd Haas at the tasting table. The glasses, chilled water, and a bottle of Toulouse Green are at hand for this important quality control step. After you make the absinthe, it’s time to enjoy it in a refined setting. We headed down to Broussard’s Empire Bar. Did Ashley Roberts find the Green Fairy in New Orleans? Tune in to the 1st Look this Saturday night to find out! This entry was posted in Atelier Vie, Press Hits, Toulouse Green and tagged 1st Look, absinthe, ashley robinson, distilling, jedd haas, new orleans, Saturday Night Live, tv. Bookmark the permalink.